Users like over 4 billion Instagram posts per day. This makes Instagram one of the most user-active social media sites out there. The savvy marketer can convert this engagement into real paying customers. But there’s a lot to know and learn to be successful using Instagram for small businesses. Let’s explore what the successful marketers are doing to put Instagram to work for business. Hint: It starts with having the right kind of account. Are you still using your personal Instagram account for your business? You’re missing out on features that can help you get more out of your Instagram presence. You could be losing Instagram followers and valuable opportunities because of it. Here are the major benefits of the business account. It’s easier to convert followers into leads with the profile contact button. People are more likely to click a button than a link. Now your website is only one tap away. All of the obstacles have been removed, providing a seamless experience for both you and your followers. With a business account, you can also list your business hours, location, email, directions, and phone number. This makes it easier for people who love your account to actually become paying customers or visit you in store if your business has a physical address. Gain access to more in-depth analytics. It’s true for any social media platform. If you’re not analyzing your performance, you won’t be able to get a decent ROI on your social media marketing budget. Get real-time analytics on how stories and promoted posts are performing. Develop insight into how people interact with your posts. Instagram analytics still needs some work. But we expect them to improve over time. This will make using Instagram for small businesses even more advantageous. Having a business account makes it easier to set up Instagram ads. These can be very effective for meeting various marketing goals. Instagram advertising is an important part of a comprehensive Instagram for small businesses marketing strategy. To promote a post, simply click on the “promote” button, choose your call to action message and you’re done. Instagram has updated its algorithm to favor high-quality business content when it’s showing new content to Instagram users. To use Instagram for small businesses effectively, you need the extra exposure having a business account offers you. And the great news is that it’s free and easy to switch over. This is something you can do today to start getting better results with Instagram for small businesses like yours. Now, onto your next key to how marketers succeed with Instagram for small businesses. You can waste a lot of time and money on social media if you’re not setting clear goals. You may even conclude that social media doesn’t work. But millions of brands are proving every day that it does. The vast majority are small businesses like yours. Those who succeed, establish clear goals. They can then build strategies around them. Building a following on social media often requires you to work through goals step by step. Goals change as your account “matures”. For example, you need to build brand awareness before you’ll start acquiring leads. If you jump into trying to acquire leads before you’ve built any awareness, you’ll spend more time and money with less return on your investment. It’s better to focus where you are. Working too far ahead of yourself drains a marketing budget fast. Swiss Insurance company Mobiliar set a goal of increasing engagement among existing customers and new younger ones to expand their reach. 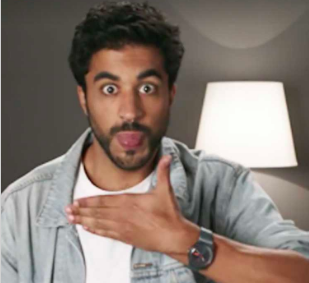 They published a series of “teaser” style videos that explained the various types of insurance in a fun way. The campaign reached 59% of its target audience with a 21% completion rate. This means that 21% of the people who started the story, watched the whole series of short videos. In marketing, that level of completion is a great accomplishment. They exceeded their engagement goals. Growing a community of paying customers is just a logical next step. You have a clear goal. Let’s start building a strategy around it. The article is filled with elements you need to build a strategy. Here, let’s focus on what a successful strategy for Instagram for small businesses looks like. Know what they are before developing a strategy. As a small business, you should have 5-10 clearly defined customer personas. These are representations of target audiences. They each have their own interests, challenges and goals. You may even give them a name like “Busy Beth” to represent who they are in a nutshell. But it’s best to narrow this down to 2-3 personas when using Instagram for small businesses. This allows you to really connect with your most likely Instagram audience. Review your personas. 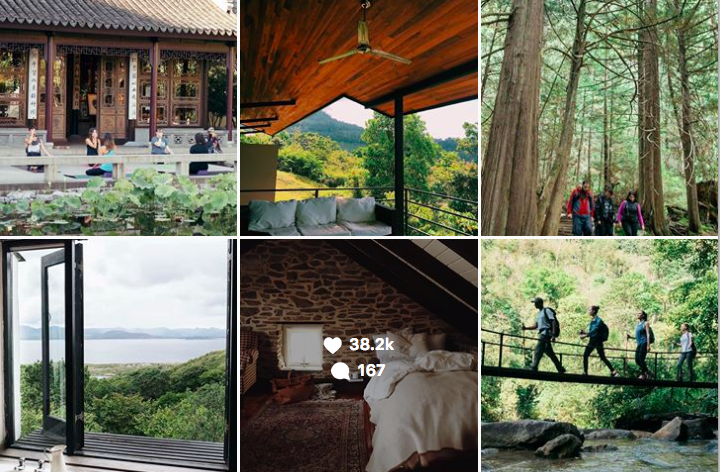 Identify which ones make the most sense to target on Instagram. Build the strategy around them. Check out what your competitors are doing first. They may have good ideas. They may have weaknesses you can use to your advantage. An Instagram competitor analysis, similar to the one below, will help you get on the right track with your strategy. There are several tools that will help you conduct this analysis or you could hire a social media marketing agency to do it for you. What content will you post? How will you make the content appear visually consistent? What kind of publishing schedule will you be on? When will you know it’s time to promote a post to increase your following? How will you choose which hashtags to use to reach potential customers? Who will be managing your content? All of these components go into developing a content plan. A strategy is never set in stone. Don’t be so flexible that it appears you have no strategy. But be willing to listen to the numbers and make changes to continually improve it. Travel software startup tiket.com needed to increase the number of app downloads for its signature travel app through its Instagram account. It was virtually unheard of at the time. But it didn’t have a huge budget to work with. During its campaign, it chose to start small. It tested two Instagram ad styles on a small-scale to determine which one would perform best on a larger campaign. They found that one clearly out-performed the other, listened to what the data was telling them. They then rolled that campaign out on a larger scale. Through their measured approach, they achieved over 200 thousand additional downloads without breaking the bank. Through it, they built awareness. For some businesses, finding your focus will be easy. If you sell shoes, then most posts will be athletic shoes and the people wearing them. But if you’re business isn’t inherently visual, take some time to think about how you’ll make it so. AirBnB not only displays the homes available through the service but also the experiences surrounding them. We could say that their focus is the traveling experience. This is what their target customers are really looking for. They get it. Your focus or theme will help you decide what content to post on Instagram. If a photo doesn’t fit your theme, unless you can alter it, it doesn’t belong on your account. Pick 4-5 things that represent your brand well. Have one or two of these in each picture. In addition to your focus, your page should have a certain look. This “look” tells people instantly that they’re on your page. It identifies with your brand. And for the record, there are thousands, if not millions, of accounts posting inspirational quotes every day. It’s great to be inspirational. But Instagram for small businesses only works if you have an identity that sets you apart. Color palette — Pick up to 5 colors and don’t stray from them. Use photo filters to maintain this color consistency. Have a certain “vibe” — A vibe is an overall feeling that people get when they see your page. Your focus — We’ve discussed it. Pick 5-6 things that you post. Profile pic or logo — Display them consistently. Bio– Word it to best reflect your brand. Descriptions — Develop a cohesive style for how you communicate about the images and videos. Cheeky, serious, simplicity, humorous, etc. Pattern — You can use certain patterns like stripes or polka dots to create visual consistency, if it agrees with your brand image. 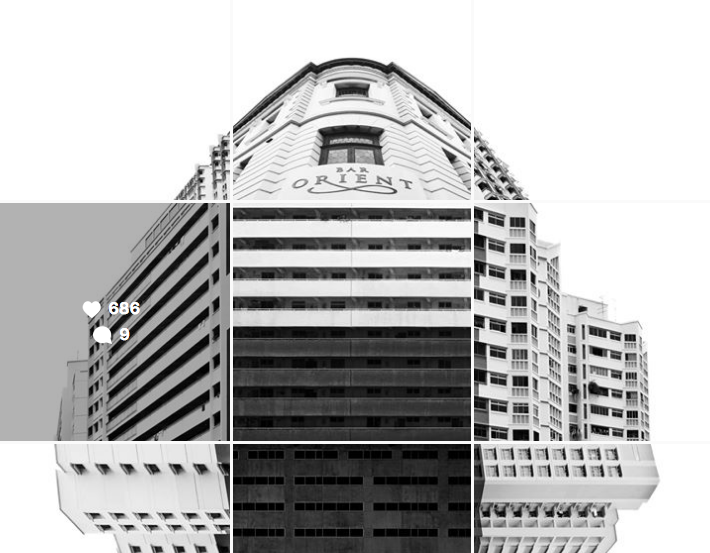 Grid — Not only does each post follow your theme, your layout can appear to have a pattern to it. Photographer Weijiang uses grids to display his photography. Look closely. That’s not one post. The image is pieced together abstractly in a series of posts. And here he creates an image out of several images with a series of posts. Something this different may not align with your brand. But you can draw inspiration from the cohesiveness across posts. This exemplifies what an Instagram story is all about. Imagine this coming up in your feed one image at a time. Would you put the pieces together? Regardless of where on social media your marketing efforts call home, consistency is key. Posting daily is ideal. But you may find that the times that you have to post aren’t the ideal time for your customers. Or you find it easier to sit down for two hours on a Saturday to post instead of trying to set aside time every day. Using Instagram for small businesses can work into any schedule if you use a scheduling tool. In fact, most people save a lot of time doing it all at once rather than trying to fit it into their busy days. You can also choose to outsource these tasks to the experts at a social media management company. This is yet another reason that you should switch to Instagram business. You’ll have access to a very user-friendly scheduling tool. The tool currently only works for photos, not videos. If you want to post videos, you need to go through 3rd party software like HootSuite. This paid service offers a generous free subscription that’s just enough for getting started with Instagram for small businesses. But beware. Just because you block off time to schedule Instagram post doesn’t mean you can ignore your followers all week. Traditional ads allowed you to interrupt people’s TV show or video watching so that you can talk at the viewer. People don’t like that. Increasingly, they’re tuning it out. Traditional TV viewership has dropped 20-40% in just the past 8 years as people turn to more interactive forms of entertainment. Over 23% of people in the US use ad blockers online. That’s fairly consistent across demographics. Businesses who make social media feel like an ad, get unfollowed. Instead, work to build a community. But be careful not to overdo it. You don’t want to seem like a stalker. If you want someone to follow your account, try liking 3 of their images in a row. Then put a nice comment on the 3rd one. This repetition makes them wonder who you are. They’ll check out your account. If you’ve been applying the tips in this article to make it a great one, then they will follow you. Nurture your relationship with commenters. These should be thought of warm leads. You don’t have to interact immediately. Followers understand that you’re not on Instagram all day long. You’re running a business. Set aside some time once to twice a week to “catch up”, thank and interact. If someone sends you a private message, it’s always a good idea to respond same day, within hours if possible. Hashtags are the way to expand your reach fast. But you want to attract the right people. Savvy marketers watch for trends among Instagram for small businesses and personal users. These hashtags change sometimes on a daily basis. The more current you can stay on hashtag usage, the more people you’ll reach with your posts. Think of a hashtag as a filing system. Each time you use one, your post gets filed in that hashtag’s folder. People who are interested in that hashtag, then request that folder from Instagram. They dig through it looking for new accounts to follow. All of this is happening digitally, of course. Getting seen means being in the right “folders”. You can use up to 30 hashtags on each post. Unless your hashtags are irrelevant, it’s not spammy to use all 30. Use a mix of tried and true hashtags types. Then move into the hashtag funnel. This is the way marketers are using Instagram for small businesses and getting results. Just like a content marketing funnel, start broad and get narrow, leading people at various levels into your funnel. Branded — Develop some branded hashtags so that people looking for you specifically can easily find you. Community — These are hashtags that represent online communities. Find communities that have followers similar to your target. Are you in the business to help new moms? How about adding #CafeMom to your posts. If the community has a common hashtag they use, you can use it as well. Location — These can be the actual city. Or they can be hashtags commonly used in the community. Actual event — Is the post for a specific event known to your audience? Add a hashtag for that as well. Trending — These are hashtags that may be very short lived. To use them, you really need to stay active on Instagram. They can reach an incredible number of people very fast. When selecting hashtags, don’t just go on your gut or find tags that “seem” relevant. You’ve heard of the “hashtag fail” where someone accidentally uses a hashtag that doesn’t mean what they thought it did. Sometimes it’s embarrassing. To get categorized correctly, research hashtags using free tools like Hashtag.org or the Preview App. As you spend time being part of the Instagram community, make note of the hashtags that influential people are using. When you think of Instagram for small businesses, you may think it’s going to be a crazy amount of work. We won’t lie. It does take commitment to research, creation, and consistency. But don’t make it harder than it has to be by thinking that everything on your account must be 100% unique. Successful marketers are re-purposing content from their other social media accounts and their own followers to match the styles of their Instagram profile. You obviously shouldn’t repost the exact same content, but use it as a guide and inspiration. Always give credit where credit is due if reposting. Curate content from similar pages. It’s best to always ask permission and give credit. Start following accounts that use a similar filter, style, colors, etc. Scan through their photos each day. Find ones you like. Reach out as an admirer. Ask if they’ll send you the original high resolution images in return for a mention. To save time, network with several account owners to get blanket approval to post their content on your account. Help each other expand to reach new audiences. Mediocre content won’t cut it on Instagram. Instagram is a like a fashion show. Only the most visually-stunning take the stage. You may need to invest in a better camera, quality film editing software or get better writers to make the content spectacular. Images should evoke instant emotion. It’s this emotion that makes people want to click, comment, like and share. It makes them complete your Instagram stories and become paying customers. If you own an ecommerce store, you may be tempted to keep posting pictures of your products against a white background. But how will this connect to the customer? Consider instead showing people using your products. Display your product on a pristine beach with the ocean in the background. Find a way to stimulate the emotions through images. Yes, people on Instagram are very visual. But they also appreciate a compelling description. Get people talking about your image. Tell them a bit about the picture or video. Ask them a question. Insta stories are similar to Snapchat. These disappear after 24 hours. So they don’t clog up your page. You can use them to create a sense of urgency to view your content. People don’t want to miss out. You can also use insta stories to give people a glimpse into your workday with content you wouldn’t want left permanently on your account. Give people a sneak peek into the day in the life of an employee at your company in a series of images. Remind people about an upcoming event. You’ll find new and interesting ways to use stories as you develop your community develops. It’s frustrating when no one is interacting with your great content. Also, no one likes a business that seems to constantly be saying, “Like me. Like me.” But there is a balance to be had. In order to get people engaging with your content, you may need to ask for that engagement in some of your posts. Here’s how to do it in an effective way. Ask people to tag a friend. For example, post an image of a beach. Ask people to tag someone who deserves a vacation. Post an image of a successful business person. Ask them to tag a person who “making it happen” in their career. Post a powerful statement. Ask them to double-tap if they agree. They just “liked” your post without even thinking about it. Ask questions about your image. Give them a riddle, challenge or other brainteasers. These are effective because you’re not only facilitating engagement with your business. You’re facilitating engagement between friends and other users. That’s what social media is all about? There are so many ways from a small business like yours to find success on Instagram. But without goals and a plan, it’s difficult to reach new customers and convert them into paying customers. Find your style. Build a community. And be part of the Instagram community to succeed. Find creative ways to ask for engagement. At the same time showcase what your brand has to offer. For more actionable tips and insights that will help you be successful on Instagram and beyond, follow our blog. Or to get started on fueling your Instagram campaign with great content and boosting engagement for you brand, schedule a time to talk with our experts today and see how our social media marketing company can help your business.